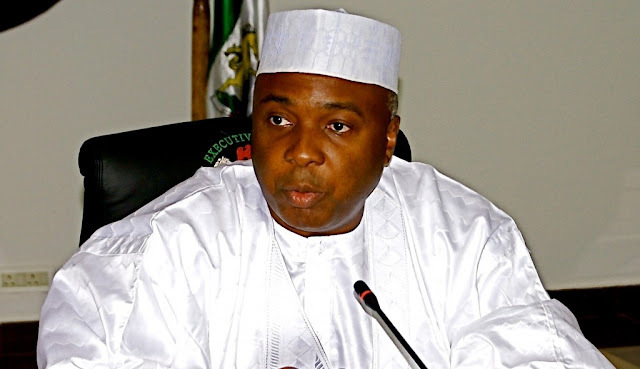 President of the Senate, Bukola Saraki, has denied that the upper chamber of the National Assembly is proposing an increment of the pump price of Premium Motor Spirit (petrol) by N5 as part of measures to generate funds for roads repairs and maintenance. The Special Assistant to the Senate President on New Media, Mr. Bankole Omisore, in a statement on Saturday, denied the reports that the legislature had the plan. As part of the recommendations in the report by the Senate Committee on Works on the National Roads Fund Establishment Bill 2017, a levy of N5 will be imposed on every litre of Premium Motor Spirit (petrol) and Automobile General Oil (diesel) imported or refined in the country. The panel also proposed tolling on federal roads and 0.5 per cent of transport fares paid by passengers using mass transit for inter-state trips to generate fund for the rehabilitation and maintenance of road infrastructure in the country. Omisore, however, explained that at the public hearing on the National Roads Fund Bill, the stakeholders were unanimous on the need to access a percentage of the funds for sustainable maintenance of roads from the pricing template of petroleum products. He said while the unanimity was on a percentage, opinions varied as to what percentage. “Some argued for 25, 11, 7 and 5 per cent of the value of the price of the product,” he noted.